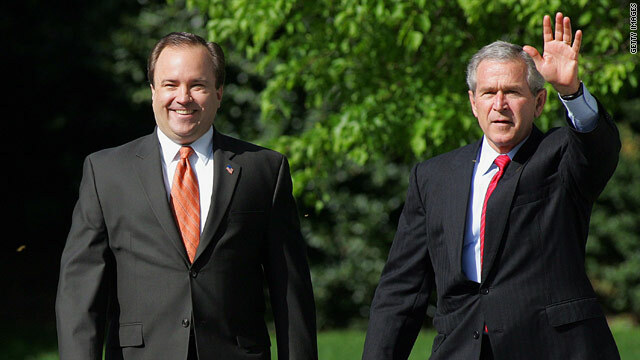 Washington (CNN) - Former President George W. Bush is landing a stinging jab at his former longtime aide and press secretary, Scott McClellan, saying the man who served as the public face of his administration for three years was irrelevant. In an interview with CSPAN scheduled to air this weekend, Bush says he deliberately didn't include McClellan – who held the high profile post longer than anyone else during the administration – in his memoir, "Decision Points." "He was not a part of a major decision. This is a book about decisions," Bush told CSPAN. "This isn't a book about, you know, personalities or gossip or settling scores." "I didn't think he was relevant," added Bush. McClellan had been by Bush's side since his days as Texas governor and, in his role as press secretary from 2003-2006, spent the bulk of his time vigorously defending the decision to wage war in Iraq. But two years after departing the White House, McClellan authored his own memoir, "What Happened," that constituted a scathing criticism of how the Bush administration was run. In one of its most critical passages, McClellan stops just short of suggesting the administration deliberately deceived the American public in the run up to the invasion of Iraq, writing, "his advisers confused the propaganda campaign with the high level of candor and honesty so fundamentally needed to build and then sustain public support during a time of war." or the one who defends himself with "Friends, Romans, Countrymen, lend me your wallet..."
Is W sure he knows what irrelevant means?